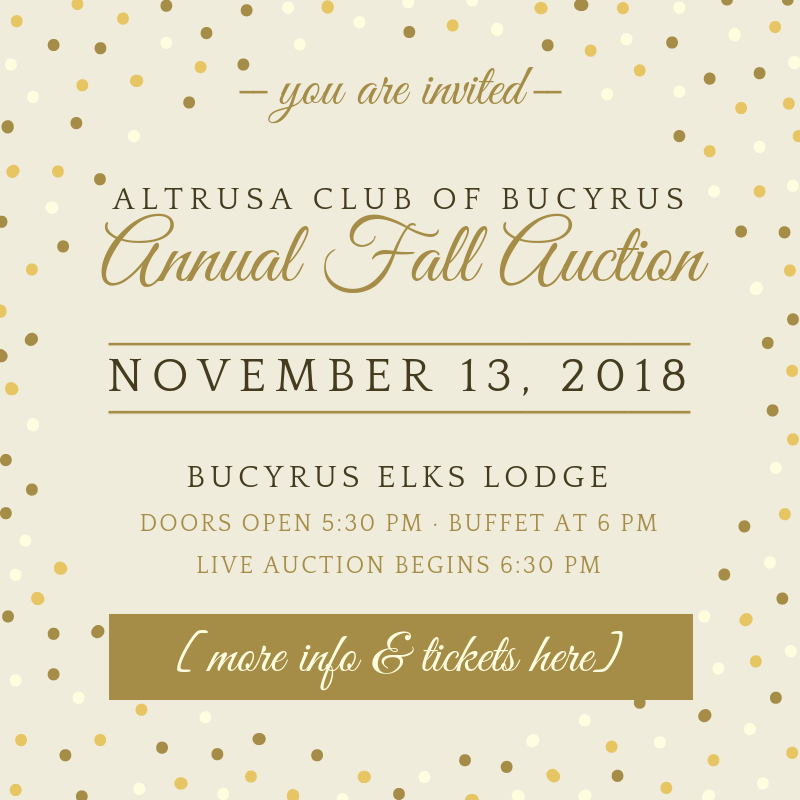 The Altrusa Club of Bucyrus is holding their Annual Fall Auction on November 13 at the Bucyrus Elks Club. The doors open with a cash bar beginning at 5:30 pm. A hot buffet dinner will be served by Katering Kountry Style at 6 pm, and the live auction begins at 6:30 pm. The auction includes stellar gifts donated by local businesses, and includes a 6 Night Stay in Myrtle Beach, South Carolina. There will also be a cupcake raffle with amazing prizes and a 50/50 drawing. Tickets are $10 each. Please RSVP by November 2 to Melissa Oberlander at melsaltrusa@gmail.com or 419-569-9500, or use the RSVP form below. All proceeds from the event go to Altrusa of Bucyrus’ local projects.